Dr Jonica Newby is a TV producer, writer, director and presenter with 20 years of experience making quality factual television in the specialist science genre. She has twice won Australia’s most prestigious science journalism prize, the Eureka Award, and is the recipient of a World TV Award. Best known as a presenter / reporter on the popular long running flagship Australian TV science program Catalyst, what’s less well known is that behind the camera, Dr Newby has produced, written and directed all her own programs for the past 15 years. In that time, she not only produced and directed over two hundred short form stories for the weekly show, but produced and directed many of the most ambitious and creative one hour and half hour documentaries Catalyst has ever undertaken – a one x 1 hour documentary special for the ABC 1, 7.30 Sunday night slot, 2 series of 2 x 30 min documentaries for the Catalyst slot, plus 6 x single 30 min documentaries. Way back in 1999 she debuted her television career by writing, producing and presenting a major 5 part documentary series for the ABC; The Animal Attraction. 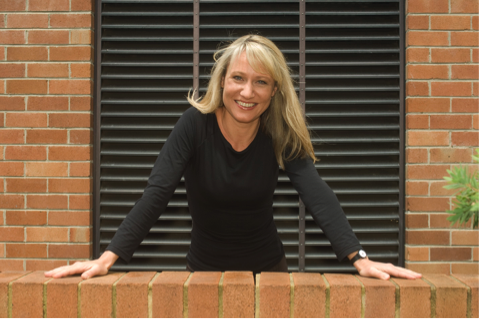 In addition, she’s been a regular contributor to radio, print and News 24, and is author of the ABC book The Animal Attraction, about how the domestication of animals created human civilisation. She’s an experienced interviewer, facilitator, and host, and had the honour of being Master of Ceremonies for the 2017 Prime Minister’s Prizes for Science. Dr Jonica Newby grew up in Perth, WA, where phase one of her professional career was a first class honours degree in Veterinary Medicine and Surgery and a few years in mixed veterinary practice. It was a solid and practical grounding in medicine and science which would prove invaluable for phase 2 – professional science presenter.